Christmas break has ended and we worked hard on getting bad to our regular schedule this week. The house seemed incredibly quiet without the big kids around, but that didn't last long when schools canceled in the middle of the week due to the freezing temps in Iowa. 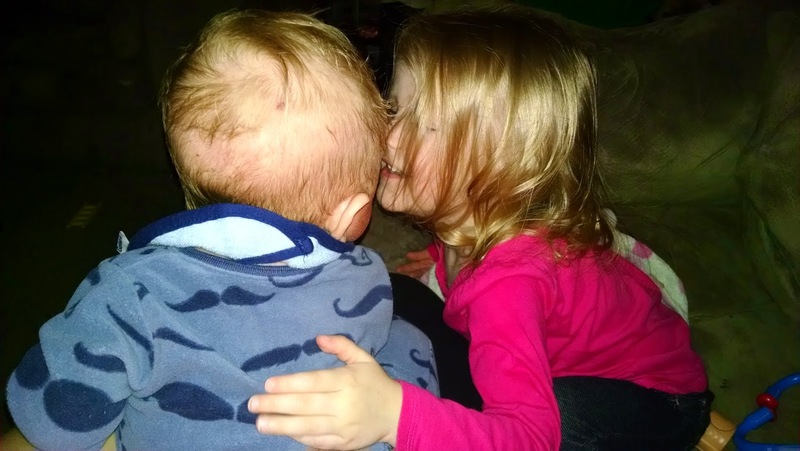 This week we welcomed a new daycare baby, had a numbers day, a Cold Snow Day, many Lego towers were built, tried out snow ice cream, and ended our week with an Alphabet Ball Pit. We worked on counting our numbers 1-20 and identifying numbers 1-10. 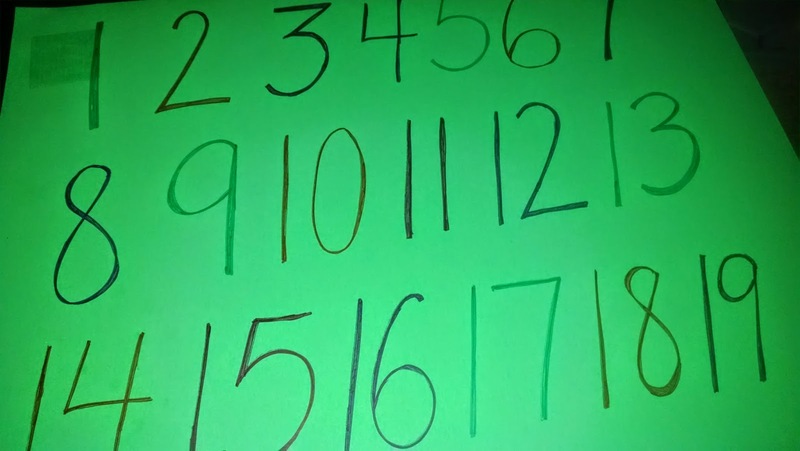 The kids colored and decorated number shapes, then we worked on identifying them and putting them in order. We used the peg board to make patterns, count the different colors, and work on hand eye coordination. 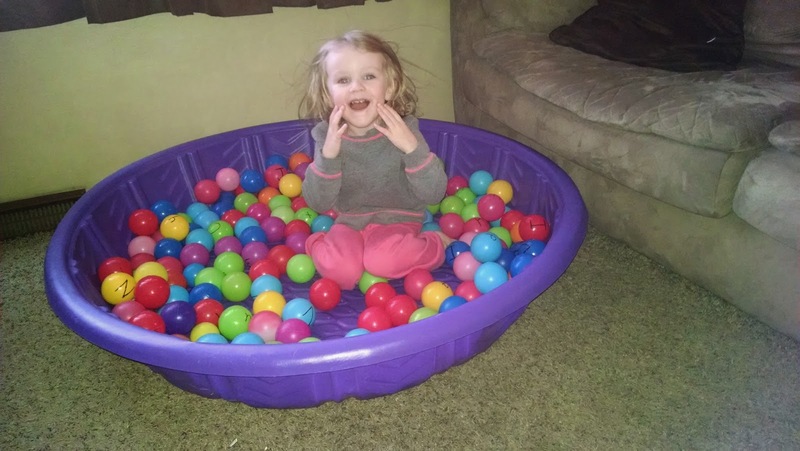 We'll be getting this out more often because all of the kids loved it! Chocolate snow ice cream: freshly fallen snow, milk, sugar, vanilla extract, and cocoa. The kids spent A LOT of time this week building Duplo towers, towns, trains, zoos, guns, and swords. A fun sensory activity: Polar bears in snow. 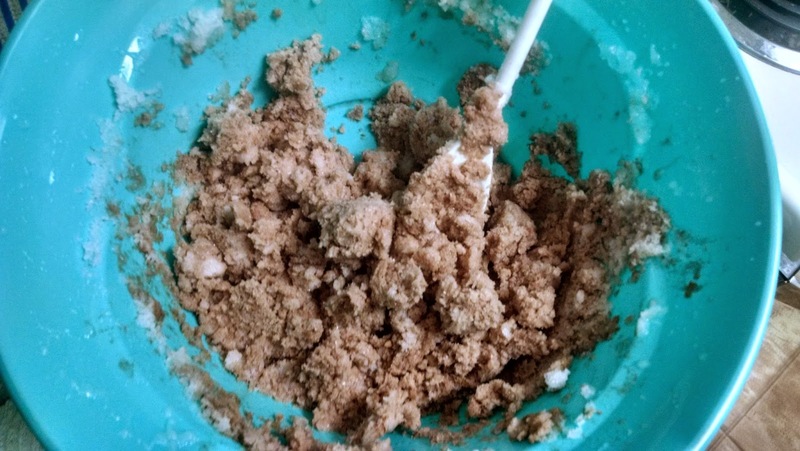 We used our baking powder and cold water concoction to make "snow" and the kids played (and buried) the polar bear pencil toppers in it. 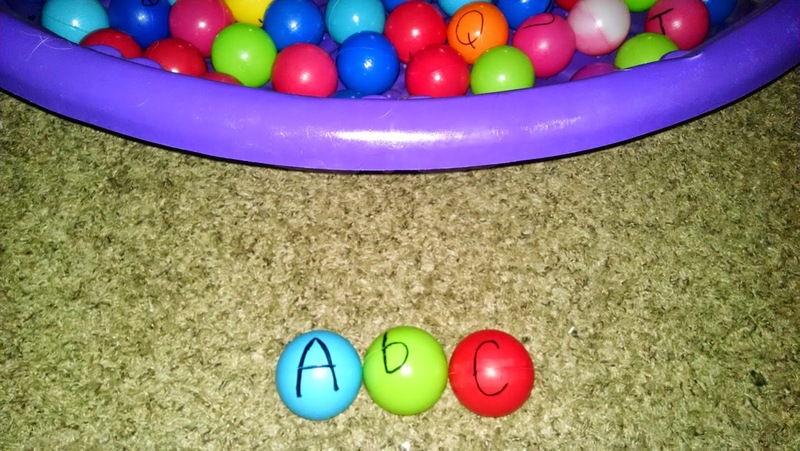 We had a great day with the alphabet ball pit. The kids ran and jumped into the balls, they buried each other, we spelled out each other's names and three letter words. 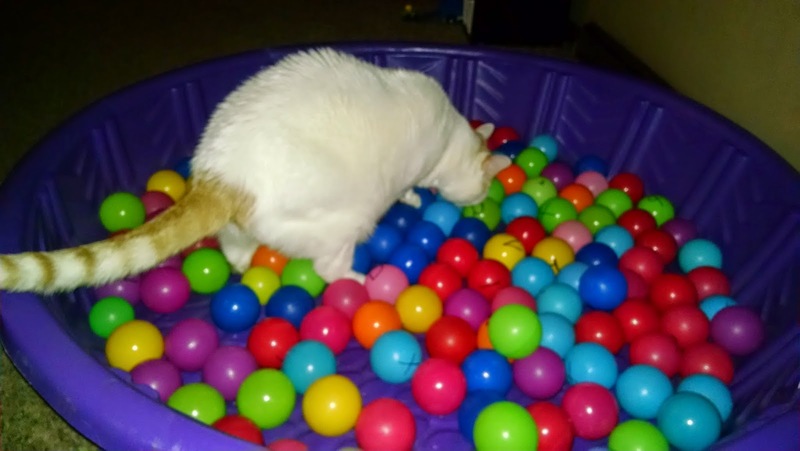 Even the cat liked the ball pit! Next week will be another short week. We'll be doing a few sensory activities in our new sensory table (thanks to Harrison's preschool!) and making paper plate snowmen.